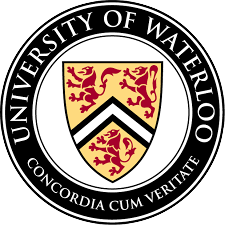 2019.04 WatSAF1 on Quantitative Risk Management and Financial Technology (Chair), Waterloo, Canada. 2017.09 Workshop on Risk Measurement and Regulatory Issues in Business, Montreal, Canada. 2016.08 Random Complex Structures and Data Analysis in Finance, Beijing, China. 2016.02 4th Québec-Ontario Workshop on Insurance Mathematics, Waterloo, Canada. 2012.04 6th Annual Graduate Student Probability Conference, Georgia Tech, Atlanta, USA. 2011.04 5th Annual Graduate Student Probability Conference, Georgia Tech, Atlanta, USA. 2018.09 Keynote Speaker, 4th European Actuarial Journal Meeting, Leuven, Belgium. 2018.09 Robust Techniques in Quantitative Finance, Oxford, UK. 2018.07 2nd International Workshop on Optimal (Re)Insurance, Beijing, China. 2017.06 8th General Conference on Advanced Mathematical Method in Finance, Amsterdam, Netherlands. 2017.05 4th Workshop on Recent Developments in Dependence Modeling, Aegina, Greece. 2017.04 ETH Zurich RiskLab Mini-Workshop, Zurich, Switzerland. 2016.08 2016 Workshop on Stochastic Control and Financial Applications, Hong Kong, China. 2016.06 2016 Symposium on Financial Engineering and Risk Management, Guangzhou, China. 2016.05 44th Annual Meeting of the Statistical Society of Canada, St. Catharines, Canada. 2015.11 Dependence and Risk Measures, Milan, Italy. 2015.09 The Mathematics and Statistics of Quantitative Risk Management, Oberwolfach, Germany. 2015.09 7th General Conference on Advanced Mathematical Method in Finance, Laussane, Switzerland. 2015.07 Youth Probability Forum at Peking University, Beijing, China. 2015.07 Workshop on Financial and Insurance Risk Management, Beijing, China. 2015.06 CORS/INFORMS Joint International Meeting, Montreal, Canada. 2014.08 PKU-Math International Workshop on Financial Mathematics, Beijing, China. 2014.07 International Workshop on Risk Analysis, Ruin and Extremes, Tianjin, China. 2014.07 11th International Vilnius Conference on Probability Theory and Mathematical Statistics, Vilnius, Lithuania. 2014.05 Workshop on Recent Developments in Dependence Modeling, Brussels, Belgium. 2014.01 3rd Workshop on Insurance Mathematics, Quebec City, Canada. 2014.01 International Workshop on High-Dimensional Dependence and Copulas, Beijing, China. 2013.08 International Chinese Statistical Association - Canada Chapter 2013, Toronto, Canada. 2013.07 Statistical Science for Society, Waterloo, Canada. 2013.06 Young Mathematician Forum (Centennial of Mathematics, Peking University), Beijing, China. 2012.07 International Conference on Quantitative Finance and Risk Management, Changchun, China. 2018.11 University of California, Berkeley, USA. 2018.06 Singapore University of Technology and Design, Singapore. 2018.06 National University of Singapore, Singapore. 2018.01 University of Waterloo, Canada. 2017.12 University of Wisconsin-Madison, USA. 2017.11 University of Connecticut, USA. 2017.11 Beijing Normal University, China. 2017.11 Qufu Normal University, China. 2017.10 University of Science and Technology of China, China. 2017.10 Institute of Applied Mathematics, Chinese Academy of Sciences, China. 2017.06 University of Salzburg, Austria. 2017.05 University of Milano-Bicocca, Italy. 2016.11 University of Michigan, USA. 2016.11 Georgia State University, USA. 2016.07 University of Science and Technology of China, China. 2016.07 Qufu Normal University, China. 2016.06 Chinese University of Hong Kong, China. 2016.04 Institute of Applied Mathematics, Chinese Academy of Sciences, China. 2016.03 Central University of Finance and Economics, China. 2016.03 Beijing Technology and Business University, China. 2015.12 University of Liverpool, UK. 2015.12 Cass Business School, UK. 2015.11 Vienna Seminar in Mathematical Finance and Probability, Austria. 2015.11 University of Amsterdam, Netherlands. 2015.10 University of Mannheim, Germany. 2015.10 EPF Lausanne and University of Lausanne, Switzerland. 2015.02 University of Toronto, Canada. 2014.07 University of Science and Technology of China, China. 2014.05 University of Milano-Bicocca, Italy. 2014.05 University of Bern, Switzerland. 2013.11 Vrije Universiteit Brussel (VUB), Belgium. 2013.10 University of Freiburg, Germany. 2013.10 Institut de Science Financière et d'Assurances (ISFA), Université Lyon 1, France. 2013.05 Institute for Mathematics and its Applications (IMA), Minneapolis, USA. 2013.04 Georgia State University, USA. 2012.02 University of Waterloo, Canada. 2012.02 Illinois State Unviersity, USA. 2012.01 Northern Illinois University, USA. 2011.11 Georgia Institute of Technology, USA.